The heavy rains and floods have destroyed crops and land, causing the price of vegetables to skyrocket, and vendors say that until new crops are harvested there will be no reduction in prices. 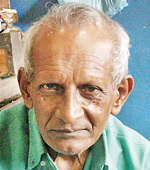 At the Dambulla Economic Centre, one of the country’s main vegetable wholesale hubs, produce was coming in slower than usual, Manning Market’s welfare society Secretary Gamini Handunge said. He said that since prices had started rising most customers had cut purchases. “Nobody buys more than 250 grams of any item now while earlier they purchased up to 2kg,” he said. “This is because most vegetables are more than Rs. 250 a kilogram and people cannot afford that,” he said. Supply from the upcountry had dropped by about 40 per cent during the past week, resulting in a sudden price increase. 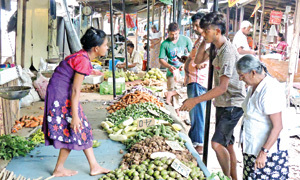 Large qualities of tender jakfruit, kohila (lasia spinosa), innala (Chinese potato), manioc, raw mango and ambarella (golden apple) are replacing popular vegetables such as carrots, leeks and capsicum in the market. Carrots are fetching Rs. 270-330 a kilo, beetroot is Rs. 230-290 per kilo, beans Rs. 300 per kilo, Rs. 230-240; butter beans, Rs. 270-280 and long beans, Rs. 212-240. The prices of pumpkin, kekiri, cucumber and snake gourd remain low, with these vegetables now commonly seen in lunch packets. At economic centres, pumpkin and kekiri are sold at Rs. 60-65 a kilo and cucumber at Rs. 70-80. Snake gourd is Rs. 90-100. Ridged gourd (vetakolu) is in abundance at supermarkets at about Rs. 170. Bitter gourd is Rs.190-200. There is a visible drop in vegetable curries in lunch packets. “These days, most of the lunch packets consist of potatoes, dhal, soya, and pumpkin and chilli paste. There’s just kankung for the greens,” a lunch packet seller near the University of Colombo, S. Jayawardene, said. “We are substituting leeks with spring onions when making fried rice. We are trying our best to substitute normal vegetables with polos, onion sambol, potatoes and cucumber,” he said. A resident of Kotahena, S. Rajeswary, said these days she avoided buying high-priced vegetables. “I’m the breadwinner in the family. What we can afford is very little with the cost of living increasing,” she said. “The vegetables that are sold at a reduced price are of really bad quality,” said J.M.B. 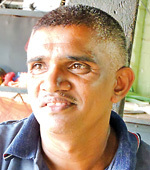 Pinsiri, 45, a vegetarian living in Ragama. “The good ones are extremely expensive. I hope prices will not increase beyond this,” he said. “There should be a proper plan with cultivation to avoid such shortages and price hikes. “We have to ensure that quality vegetables are available but most of the vegetables were affected by rain and easily rot. The rains have resulted in a shortage of both up-country and low-country vegetables. With much difficulty we found good quality carrots and leeks as well as pathola (snakegourd) and vetakolu (ridged gourd),” he said. W.M. 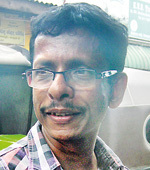 Nandapala, a vendor at the Manning Market for 25 years, said bean stocks were gradually coming into the market. The quality is not up to normal standards for most of the vegetables, with carrots being extremely small. The cabbages are not from upcountry but mostly from Puttalam. Most of the vegetables we normally get from the hill country are coming from other areas,” he said.